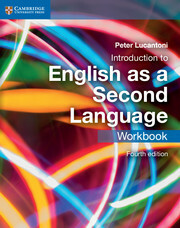 Introduction to English as a Second Language is a course to prepare students for studying at IGCSE or equivalent level. Presented in a colourful updated design and offering clear, practical support for students, it follows a variety of interesting themes and topics, with a focus on skills development: listening, speaking, reading and writing. Each unit provides opportunities for thinking and discussion, along with developing research and study skills. Furthermore, each unit has a specific language-focus section to revise and consolidate key areas of language awareness and activities for vocabulary building. Audio CD is included for use with the listening activities.